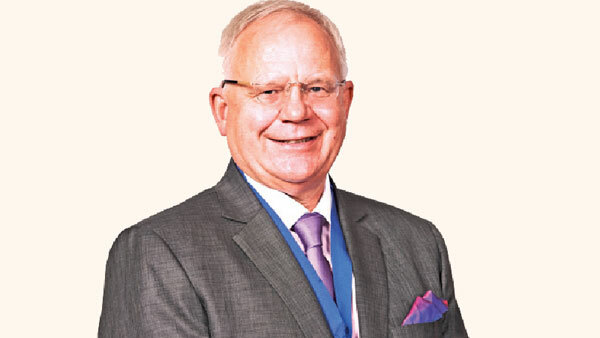 The 85th President of The Chartered Institute of Management Accountants (CIMA), Steven Swientozielskyj FCMA, CGMA, will be in Sri Lanka from September 8 to 14. During his visit he is scheduled to meet President Maithripala Sirisena, Prime Minister, Ranil Wickremesinghe, Finance Minister, Mangala Samaraweera and other top officials. He will be attending the Most Admired Companies of Sri Lanka Awards Ceremony on the 9th at the Shangri-La as the guest of honour. He will also host CIMA’s Associate and Fellow Members to dinner at Cinnamon Grand on the September 11 and on September 12 will host members of the Ceylon Chamber of Commerce for a cocktail. Steven will be the chief guest at the CIMA Convocation to be held on September 13. As President, he is responsible for overseeing the global governance of CIMA, and promoting management accounting. He is also Deputy Chairman of the Association of International Certified Professional Accountants, the global organisation representing 667,000 members and students from CIMA and the American Institute of CPAs (AICPA). Educated at Manchester Metropolitan University and with an MBA from Cranfield Business School, he qualified as a CIMA associate in 1980 and became a fellow in 1985. He started his professional career in the automotive industry before moving to the rail industry where he gained recognition for creating a world-class shared services operation. Swientozielskyj is an experienced executive, specialising in operational transformation across a broad spectrum of organisations in the private, public and consultancy sectors. He has worked in the UK, US, France, Germany, and Holland. His achievements in shared services and business partnering have led to research being done on this by Loughborough University, CIMA and the Hackett Group.